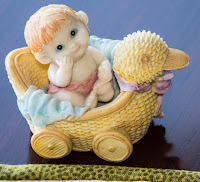 Speaking of babies, my sister sent a set of four of these cute babies when my youngest son was born. I have not been able to part with them! I am embroidering the second wall hanging and hope to have it finished by next week. 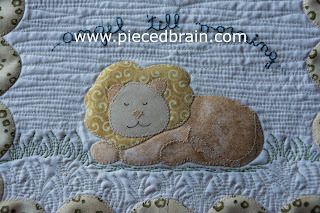 This project includes machine applique, hand embroidery, pencil coloring, and free motion quilting. The downloadable pattern will be available soon through my Etsy store, as some of you who saw it in progress have already asked for it. Free motion quilting was fun and added to the scene. I used muslin as background to allow for coloring. 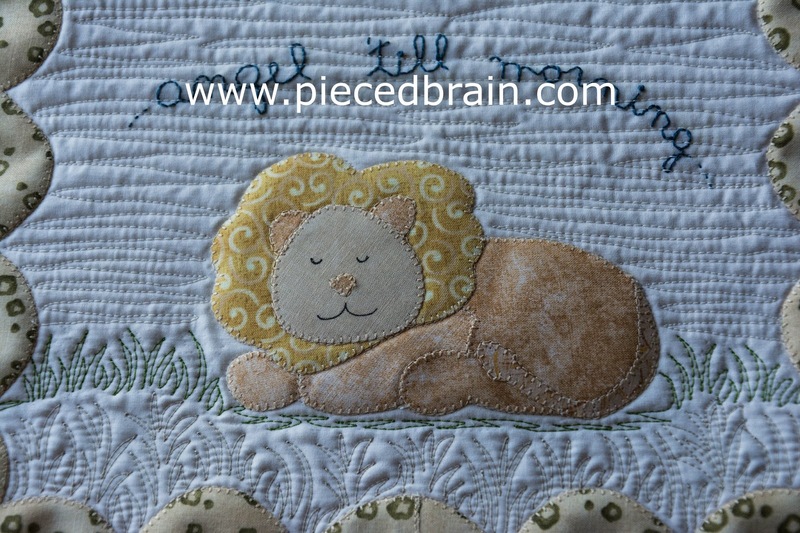 It is cool to design for babies... and each wall hanging features a different baby animal, so stay tuned! 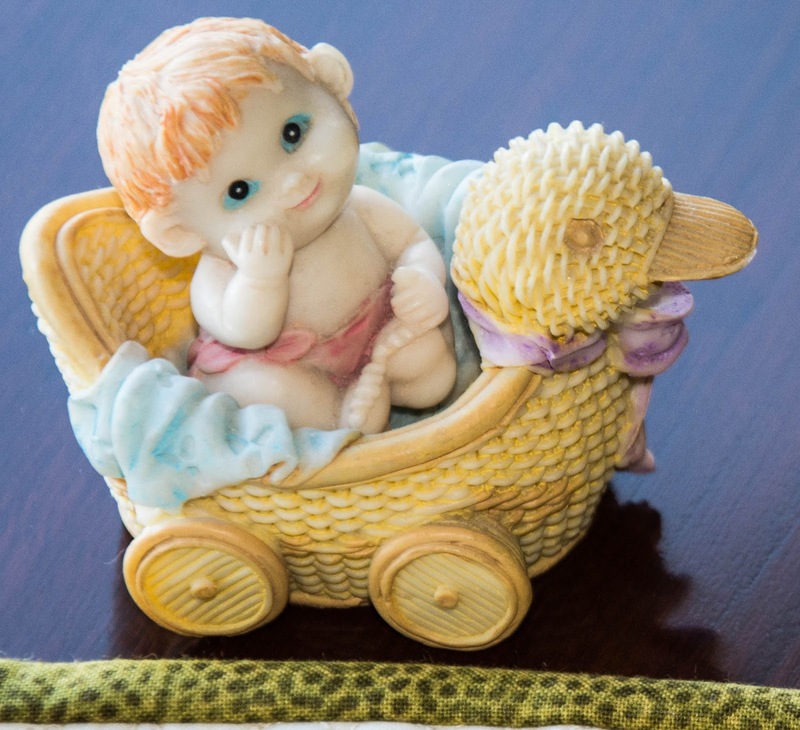 Great work for your grandchild, you will always be watching over him.